Seven endocrine glands in the body secrete hormones that affect body shape, metabolism, mood and many other factors. Characteristics which fall within the curve of normal individuals, but are at the extreme ends of the curve, often indicate high (or low) levels of particular hormones, and thus dominant or recessive gland activity. Complete the questionnaire to help determine your biotype profile. Some questions are best answered based on medical records. 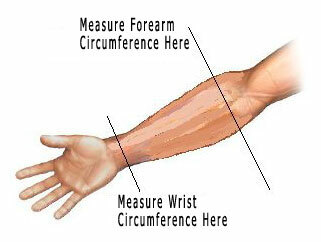 You will need a tape measure or similar marked paper strip. Results depend on accurate measurements. If you are unsure how to answer, consider yourself at age 25 or 30, and without medications, delibilating injury or other non-genetic factors. For example, if you take medication to prevent hair loss you are prone to baldness even if you've kept your hair. Do consider impact of stress! Your results are based on an extensive detailed study of over 200 subjects; the factors measured are statistically significant for determining biotype profiles. IMPORTANT: Answer all questions to the best of your ability, or results will be inaccurate. Besides the results you'll get here, illustrations and snapshots accessed elsewhere on this site are important data points to help you decide. and press the 'submit' button. The highest-rated gland is your strongest ('dominant') gland and thus your biotype. Glands with intermediate ratings play a supporting role. A low score indicates a recessive ('weak') gland. 'Balanced' means 4-5 dominant glands or Adrenal-Thyroid co-dominant. Click below to view illustrations and snapshots to clarify your biotype. 3. Body composition: 40 percent or more overweight since childhood (before puberty)? 7. Blood pressure: normally above 120/80? 8. Muscle tone: muscles are lean and hard when unflexed even when not working out regularly? 10. Psychic experiences: appeared age 7 or earlier? Bra size 34C or larger? Or, bra size 36B or larger, but less than 34C? 14. Men only: Extreme balding after age 35 (or if younger, some balding in 20s)? Thick hair on limbs and also chest, stomach or back? Or, thick hair on arms and legs only? 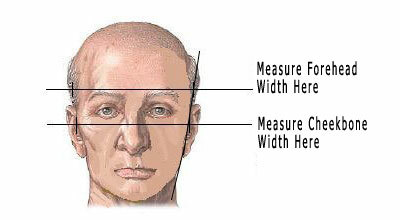 HOW TO: Measure from widest points of skull. The illustration above shows a pituitary type.